Discussion in 'Scam Alerts' started by iNUKE, Oct 19, 2012. Hi guys Im new to forexpeacearmy and didnt know exactly where to post this so forgive me if its in the wrong subforum. What I wanna share here with you is that TradersWay is NOT trust-able at all and they scam you, even move your SLs. Besides many other small things Ive experienced with their mt4 platform, from moving Sls to fake data, this is one of the biggest ones, pay attention.. 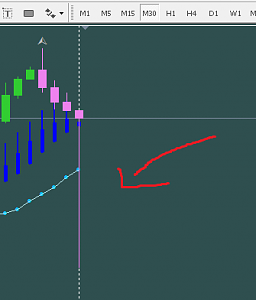 I was having a good roll on eurjpy pair, was about 28 pips ahead, when EXACTLY when I clicked "close" to close my trade, they spiked the price down about 50 pips closed my trade in a huge loss and brought the price back to normal. ALL of this in a 0.000001 seconds. Well Ive checked all other 5 different brokers that I use and none of them showed the same behavior on that pair. Can you tell me how did that happen and whats gonna be with the money I lost? Please explain your problem in details. 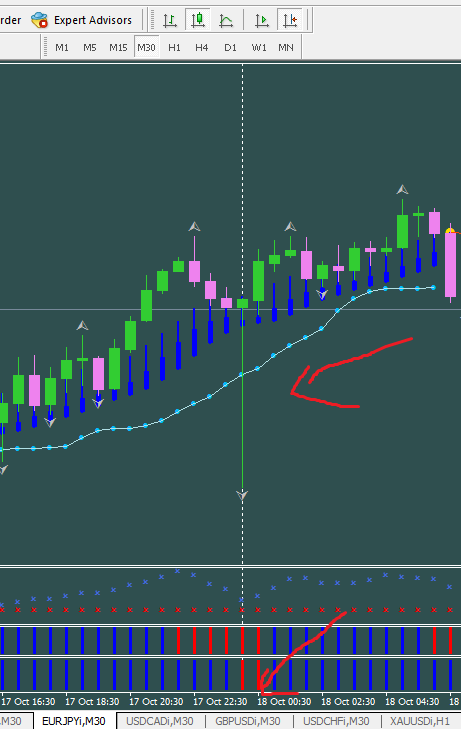 How is it possible that eurjpy price spiked 50 pips in a matter of half a second back and forth on your mt4 platform, when I checked 5 different brokers and that same spike is not there? Please explain when did you see the spike. RIGHT when i clicked close trade, it spiked closed my trade in loss, came back to where it was. How is this possible if it didnt happen in any other broker? We have checked, there was a spike at that moment. We do not filter feed from our liquidity providers, there was a non-market price from one of the LPs. We will fix the chart on this week-end. If you have any claims regarding this issue, please specify. So yea, before you use them think twice, theyre supposed to be ECN however the people they get the data from do the dirty job for them, thats what it looks like. They are also NOT regulated and located in some random islands called Dominica. Email them again. Tell them since they say that it's a non-market price, your trade should be nullified or restored. I did, and its been 3 days without having them answering me back. This is a completely unregulated company, registered only as a business in Dominica under the name TW Corp.
Dominica is a Caribbean Island nation that has questionable laws regarding securities regulation. Ask for guidance and/or file a complaint. I have written this email address two weeks ago on another matter and still have no reply. Suggest you call them, instead. I have confirmed TW Corp openly states it is not governed by any Regulatory Authority anywhere. When you go to bed with the dog, you wake up with fleas. Keep us informed of your efforts. How did you deposit your money with this bucketshop? Alright they replied to me, and it looks as thought it will be alright.. Please tell us the account and the order number you want to be corrected. However heres the warn for anyone who in the future have problems with them. Please leave a followup confirming if they really do solve the issue. This client did not reply to our last message regarding any claims. And we understand why. This client was trading on a demo account and till now almost lost the whole initial deposit. There was a spike and we admitted the client's request. The client was trading on a demo ECN account with the raw market feed with no filtering. This non-market price came from our LPs. It was a technical error, even not on our side. It happens sometimes in every system. And we were ready to consider all the corresponding claims. However, seems the client decided that it's more interesting to post here than to tell us his account number and the order number. We understand that it's popular here to name brokers scam and bucketshop. If Pharaoh has any proof for your slanderous words, please, show it here. Or take back your words. If aka iNUKE has any proof that we are a scam, please also post it here. Non-market price has no relation to scam. It's a technical error. And we were ready to consider all your claims. So why do you name us with such slanderous words? I think sometimes we rush quickly to name companies and brokers Scam without getting further evidences other than a new member like "INuke" come to FPA to tell us his story but we must also listen to the opposition to compare. Am really angry of "INuke" action of showing us as if was totally Scammed by Tradersway when his account was just a demo account and the broker had just announced that it's ready to compensate the order loss due to a technical problem from its LP. Okay, I understand to advice traders to not open a live account with an unregulated broker like Tradersway(Dominica legislation neither enough nor convincing to anybody). But, from my concept of not all regulated brokers are good(not scams) as much as not all unregulated brokers are bad(scams), also looking at many factors involved when a broker want to become regulated at some Top Regulatory Bodies. Perhaps my use of the word bucketshop was hasty, but based on the information available at the time, I doubt that the term slanderous would apply. If the trade involved truly was only on a demo account, then any flaws in execution would not qualify as a bucketshop. On the other hand, the reported response time to the complaint, demo or not, doesn't exactly leave me overflowing with confidence. Add in the Dominican registration, and my confidence in Tradersway erodes further. Ar the moment, I'll have to admit that I'm not in a position to confirm or deny bucketshop as being the proper description for TradersWay at this time. The FPA review page for TradersWay does show some interesting items. There's a note about numerous suspicious and fake reviews coming in from October 2011 to May 2012. There's an exceptionally interesting review dated 2012-05-02 that looks like it was submitted from TradersWay's offices. I wonder if Mr.Max could explain what's up with his review page. Tradersway "no option to withdraw".